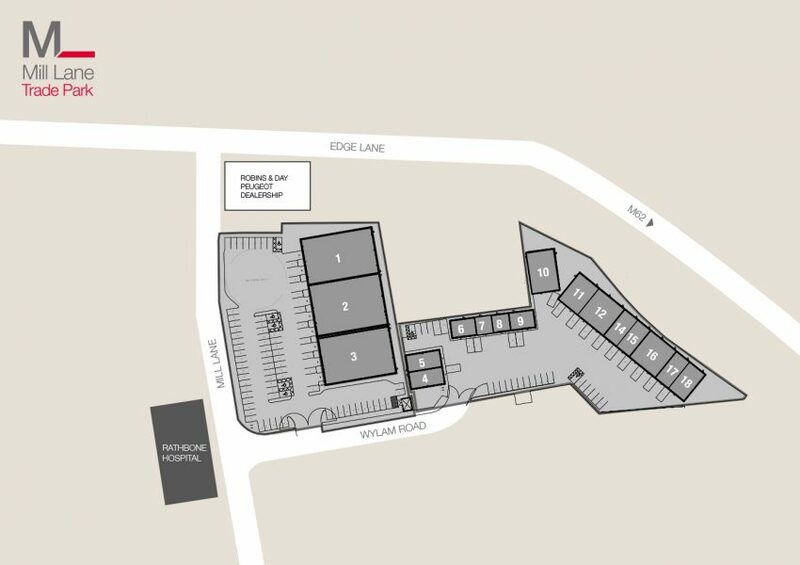 Mill Lane Trade Park is conveniently located opposite Rathbone Hospital on Wylam Road, Old Swan. There is easy access to Liverpool City Centre via Edge Lane, or to the wider region via the M62 which is half a mile away. This is a relatively new development offering a range of individual units. The scheme is self contained within a secure fenced yard and will be managed to a high standard. Constructed in mainly two terraces with car parking in front on vehicle circulation yards. High standard construction with part brick and part clad elevations. Varying eaves heights from 4.00 metres to 6.50 metres.